ZSL’s mission is ‘to achieve and promote the worldwide conservation of animals and their habitats.’ ZSL is committed to ensuring that its mission and values are reflected in the suppliers with whom it does business, and in the products and services it procures. In addition to complying with all applicable statutory and legal requirements, ZSL’s suppliers must comply with Ethical and Environmental Commitments set out in this Code as an absolute minimum, and take reasonable steps to ensure that those with whom they have a business relationship do likewise. ZSL will work with suppliers to help address non-compliance but reserves the right to terminate its relationship with a supplier in the case of breach of this Code. ZSL keeps this Code under ongoing review and may amend or add to this Code at any time. Including energy efficiency ratings and efforts to reduce CO2e emissions. Including water efficiency and efforts to reduce water consumption. Including products recycled content and recycling activities, reductions in waste to landfill, reductions in packaging and ability to re-use materials through end of life disassembly. Including evidence that natural products are grown with minimum use of pesticides, artificial fertilisers and herbicides and, where possible, providing certification. Including how products and services are limiting their impacts on biodiversity. Including distance travelled and efforts to reduce CO2 emissions. Including efforts to reduce resource use from unsustainable sources and investment into sustainable practices and whole life cycle thinking. Including efforts to ensure natural products are from sustainable sources where the chain of custody is known and, where possible, providing certification. ZSL may request certification of sustainability standards for timber, fish, paper and palm oil and derivatives used and suppliers will be expected to provide these. Including efforts to ensure all animal products, such as meat, farmed fish, poultry and eggs, are reared to the highest welfare standards and, where possible, providing certification. 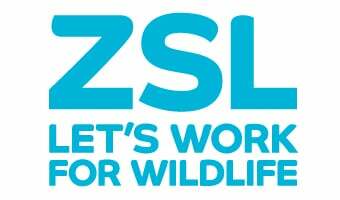 any company, organisation or person involved in supplying goods or services to ZSL on a contractual basis, including consultants (but excluding employment relationships).